For What It's Worth: Must Read Monday! 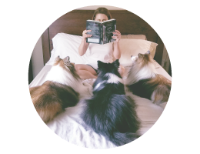 Must Read Monday is a weekly feauture hosted by Jen from What's on the Bookshelf to showcase a book or series (old or new) that we recommend. I usually only pick one book for this feature but author Ann Aguirre has recently released books from two of my favorite series. The first a sequel in her YA Razorland trilogy and the second the last book in her post apocolyptic / Sci-fi Sirantha Jax series. Outpost (Razorland #2) released September 4th by Feiwel and Friends. Why you MUST read it! This is an incredible sequel to the first book in the Razorland trilogy, Enclave. The ending has me clamoring for the conclusion which promises to be epic. *Note: I was an early beta reader for Outpost. The above is my honest opinion and I’ve loved all of Ann’s writing long before I ever had the opportunity to read for her. 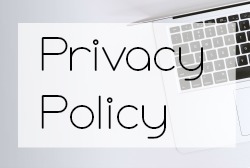 I just wanted to be upfront and have full disclosure. Why you MUST read it! 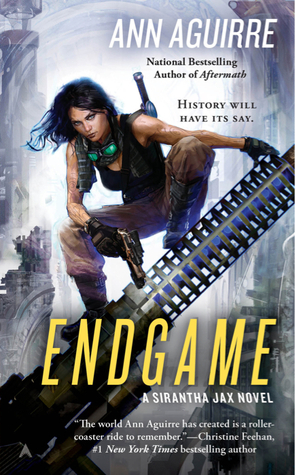 Endgame is the final book in the long running Sirantha Jax series by Ann Aguirre.This is one of my favorites and you’ve got to love an author who can end a series just right. She did just that with Endgame. It was thrilling, heartbreaking, and just perfect. “This is not a love story. Awesome series! Even if you think you’re not a fan of sci-fi. This is a gritty, action packed, character driven series that will appeal to anyone who likes strong heroines and superb writing regardless of genre. I NEED OUTPOST! So badly. I read Grimspace when it first came out but didn't read the others until now. I knew they were cliffhangers and I wanted to plow through all at once. 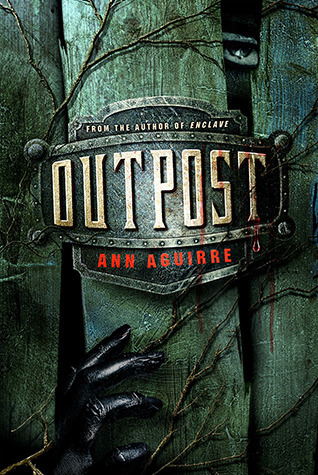 I'm sure I'll read Outpost someday, but for now, I'm so frightened. I'm just 100% sure it'll leave me crying like a baby. About to answer your alien email! Yeah - I think you would cry. But I would be here for you. © For What It's Worth: Must Read Monday!